Dover, ecclesiastically, is unique for a small town. There is St Edmunds Chapel that was dedicated by one Saint (St Richard -1197-1253), to another Saint (St Edmund 1175-1240). Pilgrims, including a king, venerated Thomas Hale (d1295) as a saint although he was never formally canonised. The town also boasts of a highly regarded Archbishop of Canterbury! The latter was Richard of Dover, who was appointed Archbishop in 1174, a position he held until his death ten years later. 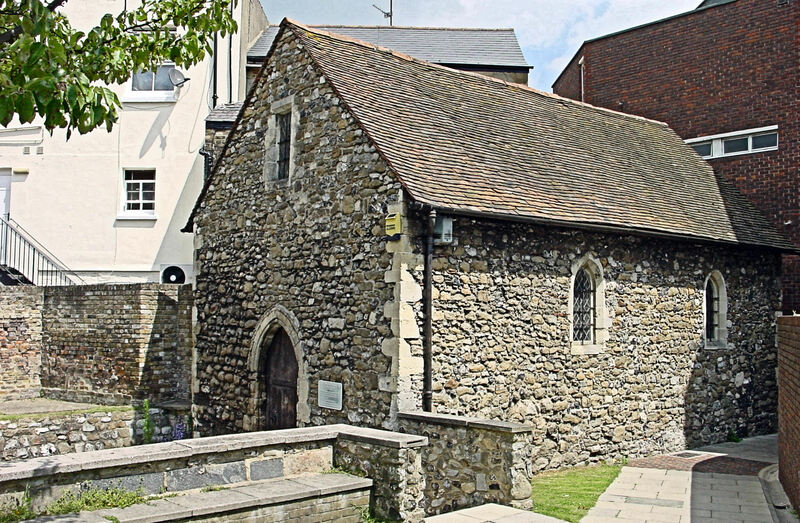 Dover Priory, now Dover College, was dedicated in 1134 to St Martin of Tours (316-397), the patron saint of France, Soldiers and Dover. At the time, it was contentious decision as Dover already had the magnificent St Martin-le-Grand monastery near present day Market Square. This had been built on the site of a Saxon monastery that the Norman’s had razed to the ground following the Conquest (1066). Like the Saxon monastery, the grand new church was dedicated to St Martin. William I (1066-1087), angered at what had happened, ordered the new, grander, monastery to be built as a way of compensation. 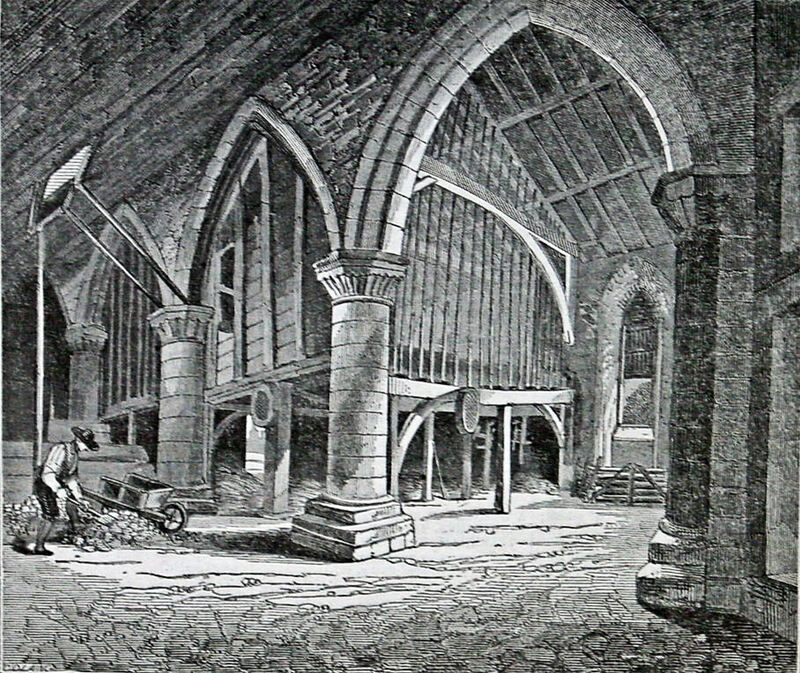 Both St Martin’s and Canterbury Cathedral were rebuilt at the same time. However, because of St Martin’s magnificence, it was seen by some at Canterbury as a threat in what became an ecclesiastical power struggle. St Martin-le-Grand was a Collage of Secular Canons, who were only accountable to God, the King and Rome but within a hundred years of the Conquest, Diocesan hierarchy reigned supreme. The two contenders for the head of the Church, in England, were the Archbishop of Canterbury and the Archbishop of York. In 1124, the Archbishop of Canterbury, William Corbeil (1123-1136), persuaded Henry I (1100-1135) that the canons’ moral behaviour at St Martin’s, left a lot to be desired and the King gave him the authority to replace them with canons of Corbeil’s own order from Merton. As Corbeil had used the proximity of the harbour as one of the reasons for what, he said was the Dover canons immoral behaviour, he said that a new establishment, out of town, was called for. Thus, Corbeil had the Priory built outside the town walls of Dover on land west of the Maison Dieu, then a religious house. The design was on monastic lines and it was to be dedicated to St Martin when it was ready in 1136. The Bishops of Norwich and St David’s came to Dover to dedicate the new Priory. However, before the ceremony took place the Benedictine monks of Canterbury swooped into Dover in the most ungodly fashion. They were objecting to the Priory being given to the canons of Merton. The two Bishops beat a hasty retreat and, it was said, Archbishop Corbeil was so distressed that he died eleven days later. 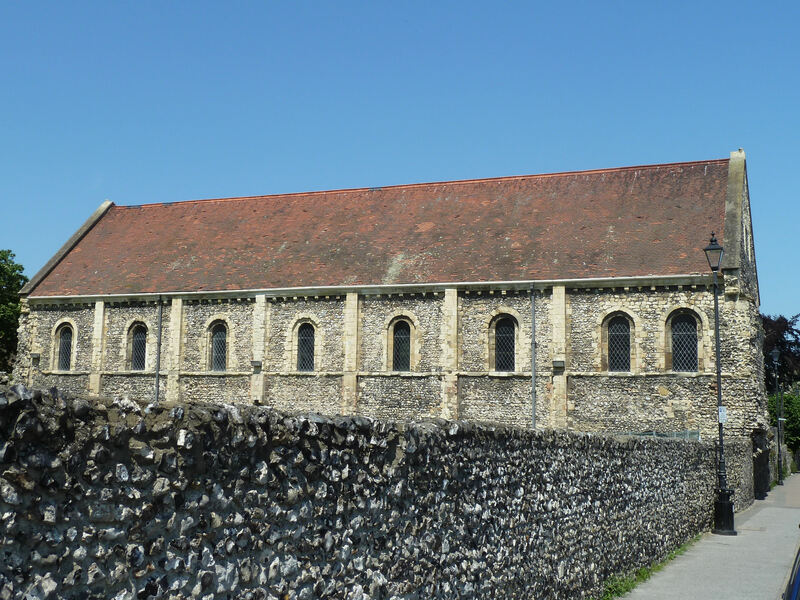 Following an appeal to Rome, the Canterbury monks were given the authority to take over the Priory and they immediately assumed authority of all the parochial rights and dues that belonged to St Martin-le-Grand. In 1139, the latter was officially reduced in status. Theobald of Bec (1090–1161), was appointed the Archbishop of Canterbury in 1139 (1139-1161) and not long after Richard came from Normandy. It was probably to study at Canterbury and one of his colleagues was Thomas Becket (circa 1118 -1170). 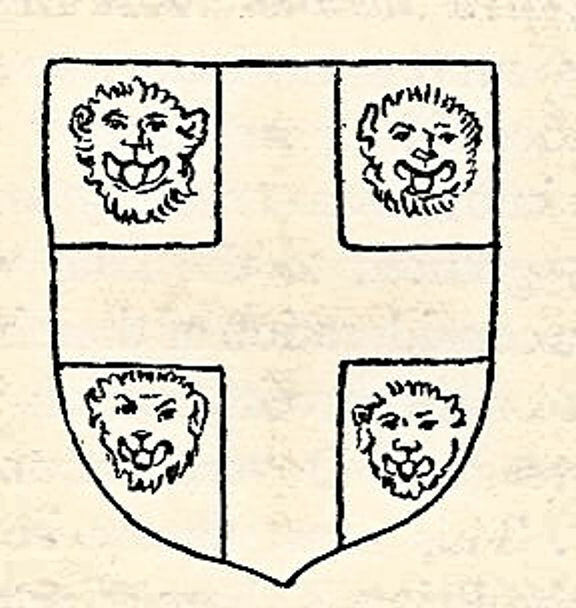 Richard was eventually appointed Theobald’s chaplain and in about 1155, joined Dover Priory. That year Pope Adrian IV (1154-1159), born Nicholas Brakespear (1100-1159) – the only English Pope – confirmed the Priory in favour of the Benedictines. Richard, a pious and mild mannered man had a reputation for being thorough and he impressed the Priory monks by sorting out their financial affairs. At the same time, he gently ensured that their behavior conformed to ecclesiastical law. Two years later the monks appointed Richard as the Prior of Dover much to the annoyance of Theobald, as the decision should have been his. For three years, Dover and Canterbury were in a state of deadlock over this until finally, a compromise was reached. Pope Alexander III (1159-1181) ruled that, ‘the Prior of Dover should always be taken from the Convent of Canterbury and from no other place.’ Although, successfully dealing with the situation at the time the ruling was to prove contentious right up until the Reformation (1529-1536). Theobald died in 1161 and Henry II (1154–1189), fed up with what he saw as an all-powerful Church, appointed his friend and Chancellor, Thomas Becket, as Archbishop of Canterbury (1162-1170). Almost from the moment Becket took office, his allegiance changed from the King to the Church. This endeared him to Richard, whom Becket appointed as his chaplain. The story of what happened to Archbishop Thomas Becket is well covered. Suffice to say that on the afternoon of 29 December 1170, Archbishop Becket was in conference with, amongst others, Richard, when four of Henry II’s knights – Reginald fitzUrse, Hugh de Morville, William de Tracy and Richard le Breton, entered the Cathedral and murdered him. Afterwards Richard took charge of Becket’s body, arranging for an immediate burial. Three years later Becket was canonised but his replacement as archbishop had not been appointed. 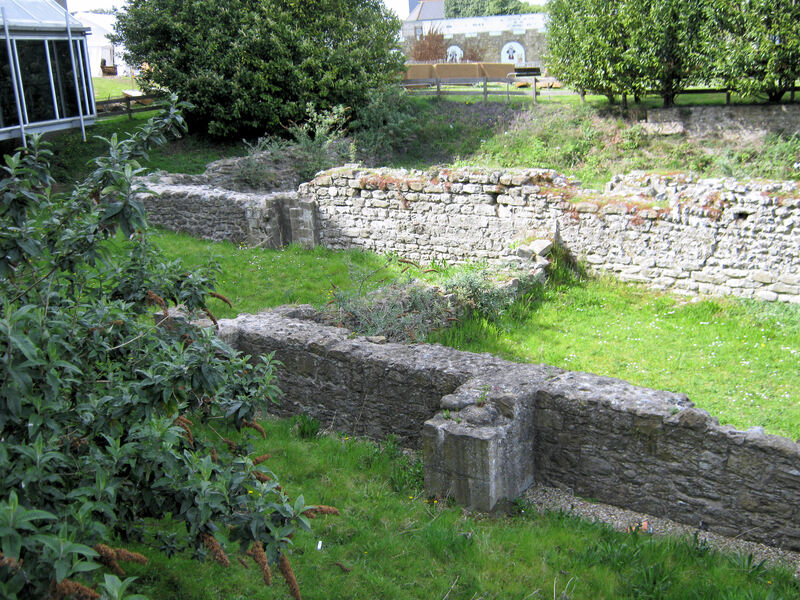 On the advice of the Archbishop of York – Robert of Bishop’s Bridge (circa 1115-1181) – it is said – the King proposed the quiet, mild mannered, Richard as Archbishop. The Canterbury monks preferred Odo, Prior of Canterbury who was of a similar disposition as Theobald and Becket. In the end, Richard travelled to Italy and was consecrated by Pope Alexander III on 7 April 1174. He was also appointed Alexander’s Legate, (judge for the papacy). Following his return to England Richard was enthroned at Canterbury on 5 October. About this time Canterbury Cathedral destroyed by fire in 1174 and subsequently rebuilt in the then modern Gothic style we see today. The Archbishop of York had assumed Richard was a soft touch and promptly announced that York was superior to Canterbury. This led to a bloody fight between the respective supporters! 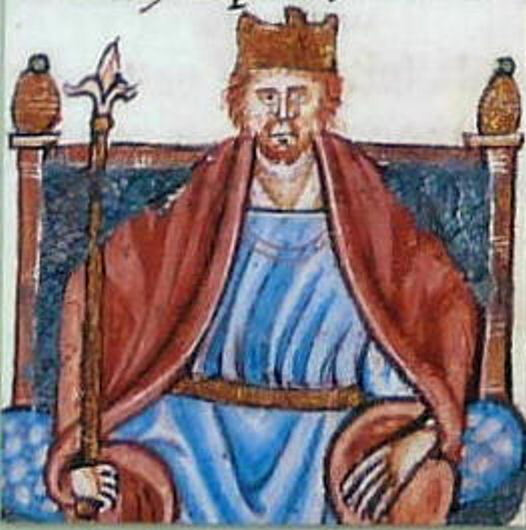 Henry II intervened resulting in a five-year truce, which he expected to have the power over the Church he craved. Asserting this authority, the King demanded that the election of bishops was to take place in the Royal Chapel, with him present. Richard did not object. Using this as ammunition, Archbishop Robert of York rallied his support for York’s supremacy over Canterbury. The quiet, meditative and supposedly weak Richard of Dover, in May 1175, invited nineteen canons to examine the ecclesiastical laws and find ways of enforcing compliance. This became known as the Council of Westminster with which Archbishop Richard strengthened the Church’s authority by implementing uniform Canon Law throughout the realm. The punishment included the sacking abbots, bishops and possibly Archbishops, who failed to comply. With this, Richard left his mark on both the Church and the country. In 1180, he returned to Dover and gave the Priory a new and more beneficial Charter. Archbishop Richard of Dover died on 16 February 1184 and was buried in Canterbury Cathedral. Pope Alexander III included Richard’s laws in the Decrials – the collection of ecclesiastical laws governing the Roman Catholic Church. This entry was posted in Archbishop Richard of Dover, People, Religion & Churches, Richard the Archbishop from Dover. Bookmark the permalink.